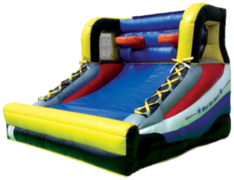 This huge inflatable comes with a giant mound in the middle for two competitors to fight with Foam Joust Poles to become "King" of the Hill! 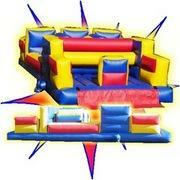 Comes with (2) Pedestal Joust Poles. 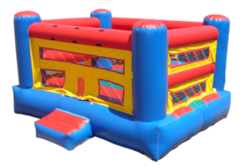 Get ready to RUMBLE with this Boxing Arena! 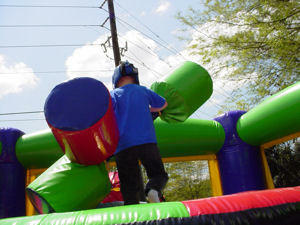 Four competitors tug against each other to get their basketballs in their goal first. 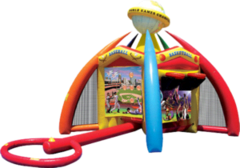 This five sided games inflatable offers Baseball, Football, Soccer, Basketball, and Velco Dart Throw. A sports enthusiast dream come true! 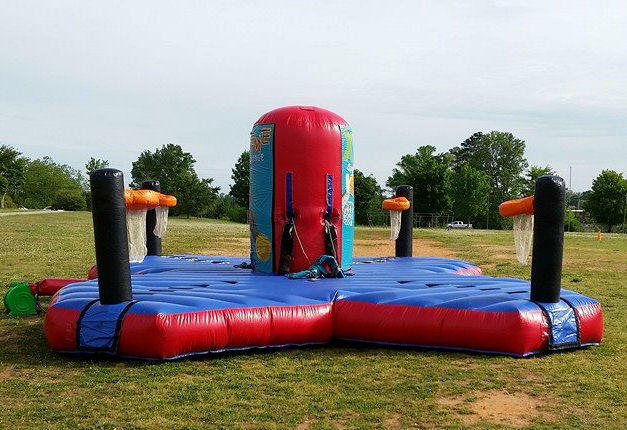 Have a Shoot Off with this fun inflatable!